As part of the restructuring of state-owned enterprises (SOEs) in line with growing market trends and broad-basing ownership, the Government expects to raise around $ 1 billion by listing non-strategic enterprises on the capital market this year. Finance Minister Ravi Karunanayake yesterday said the target was to raise roughly about $ 1 billion by way of listing non-strategic enterprises such as the Hyatt, Grand Oriental Hotel, Waters Edge, Hilton and Lanka Hospitals on the stock exchange. He assured that the Government had made a firm decision to have 51% controlling rights of the non-strategic enterprises in the commercialisation process and dismissed claims of privatisation. The Government also signed Statements of Corporate Intent with five large SOEs including the Ceylon Electricity Board (CEB), Ceylon Petroleum Corporation (CPC), National Water Supply and Drainage Board (NWS & DB), Airport and Aviation Services (SL) Ltd. (AASL) and the Sri Lanka Ports Authority (SLPA) aimed at improving efficiency to achieve the country’s economic goals by enhancing the contribution made to its GDP. He said the move was expected to encourage and facilitate these SOEs to improve operational and financial efficiency through improved corporate practices, innovative financing, strong and prudent financial management, exposure to competitiveness and international best practices and effective human resource management while enhancing public accountability. 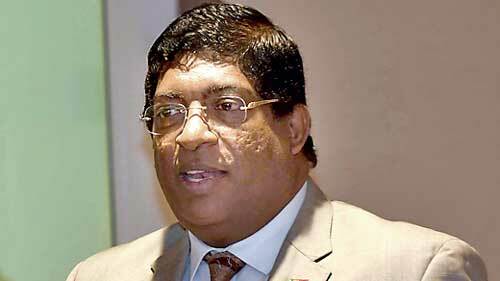 Noting that there were 403 state entities and around 20 subsidiaries, of which around 200 were making losses, Karunanayake pointed out that the Coalition Government had reduced them to about 50 at present. “At the moment the concept is that the Government passes the ball to the politician and eventually the taxpayer pays for it. As a responsible Government, we will not allow that to take place,” he added. Why do we need to sell off Hilton Lanka Hospital and Waters Edge? Highly Profitable and efficient companies. Cutting down on loss making non strategic companies should happen. Selling Lanka Hospital and Hilton and Waters edge is stupid. if the economy is growing and fiscal discipline is back why do we need to sell profitable institutions? Sell Airline, Hyatt and Hotel Corp. Not other profitable institutions. We should be able to finance the exiting debt by now, if what ravi and official figures are saying is the truth. Nw it's clear cut case if it's true what you're saying. Without telling to the media, release the info about the frozen assets to the court. Stop the media circus saying MR stole money, just present those frozen or unfrozen assets to Police or FCID to press charges against MR.
Ane manda??? Lanka Hospital is a listed company and it's majority shareholder is sri lanka insurance. exit or entry from an investment should be made based on the requirements of the SLIC not the finance minister. these people are giving thousands reasons to stupid decisions but it gives mixed signals to investors. when we compare how they reversed the Seylan bank sale by BOC this is a totally contradicting thing. Both namal and Yoshitha were key players at the Colombo Stock Exchange during its dizzy days in 2009 and 2010 with the duo joining the ranks of top 20 share holders of several listed companies. Can anyone give links to those financial reports where N & Y rajapaksas were in 20 holders lists. Then we can easily calculate amounts invested. @jayathu wrote: Why do we need to sell off Hilton Lanka Hospital and Waters Edge? Highly Profitable and efficient companies. Cutting down on loss making non strategic companies should happen. Selling Lanka Hospital and Hilton and Waters edge is stupid. ලාබ ලබන ඒව තමයි දෙන්න ඕන​. පාඩු ලබන ඒව ගන්නෙ කවුද ? අනිත් එක යාලුවන් ට දෙන කොට වටිනා කියන යමක් දෙන්න එපැයි. මතක නැද්ද NDB එක විකිණුවේ. තක්සේරුව රුපියල් 50 යි. ගත්ත අය පස්සෙන්දම 200 ට දුන්න​. වැලිසර ලක්‍ස් ප්‍රේ දුන්න ගාන කොහොමද ? ගත්තෙ කවුද ? මේ කාලෙ තමයි ඒවට සුදුසුම කාලෙ . පුලුවන් තරම් අඩුවෙන් තක්සේරු කරගන්න ලේසියි ආර්ථිකේ වැටිල මාකට් බැහැල රටට සල්ලි නැතුව හිටියේ යන්තම් මේ ගානට වත් දීල දැම්ම කියන්න පුලුවන්. ඒ අස්සේ ලංකා බැංකුවෙන් ම යාලුවන්ට ලෝන් දෙනව ඔන්න ගන්න කියල​. ලක්ස්ප්‍රේ එකත් ගියේ ඒ විදියට​. ඒක ගත්ත යාලුවා අතින් සත පහක් දැම්මෙ නෑ. බැංකු ලෝන් එකෙන් ගත්ත​. පස්සෙ ලක්ස් ප්‍රේ ඒකෙම ඇසෙස්ට් ටිකක් විකුණල ලෝන් එක ගෙව්ව​. සීරෝ කොස්ට්. අපිටත් එහෙම කරගන්න තිබුන​. අපිට කොයින්ද පූසො මී යාලුවෝ කිව්වලු. if Yahapalanaya goes like this ,they may list CTB also. I don't think govt run institutions are run badly now. In fact performance has improved a bit, but selling off some of the said ones are unacceptable.